Need to make some big bold decisions? Overdue to move it on upwards – or sideways – or go on a self-discovery adventure? 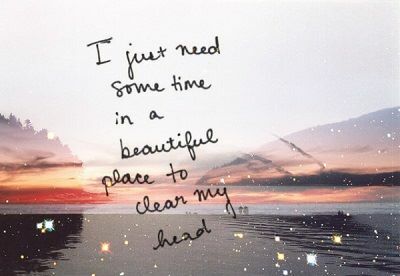 Love yourself enough to take time out, just to think things through and clear your head? Ready to invest in your own personal development? I have believed in magic all my life. My interest in personal development and the esoteric stepped up in 1992 when I was 37 and just six months before my father died. What I learned helped me through that. In 2002/3 I trained as a life coach having enjoyed a previous career running my own firm of accountants where I looked after hundreds of small businesses, entrepreneurs and creatives. It seemed logical that I would focus my coaching on that same group. And I have loved doing that for the intervening decade or more and I have no plans to change. My somewhat controversial opinion is that nobody needs a coach. Although coaches love coaching and consider it essential for personal growth, to my worldview it is very definitely a luxury. The top priced service that any one human being can offer another is to spend their time with you, one to one. Your accountant, your coach, your beautician, your family and friends. Time is simply the most luxurious gift I can offer you; to be with you… 100% focused on you. So that’s precisely what I am going to do. Here’s how. Take the day off and come and visit me in Streatham Hill in South West London. Plan to arrive at about 12 or 12.30. Bring your lunch, or take a green juice off me, and let’s have a social chat while we relax into a good place to do some important work. If it’s a lovely day, we’ll sit in the sunshine in my garden. At 2 o’clock we’ll start focus on you, all afternoon. We’ll look at all aspects of your life and where you are now and where you’d prefer to be. And we’ll make a plan for you to step into the new you, with or without my ongoing support. Anyone who’s at a crossroads, anyone who is under-achieving (or working too hard or over-achieving, come to that), anyone who isn’t happy with their current lot or wants something more or something different. Anyone who wants to make any sort of transformation. Anyone who wants a good listening to. Anyone who wants to debate the wants -v- the shoulds. Anyone who wants permission to live their best life and some support while experimenting with how that might look. Anyone who wants a good intuitive listening to, soul to soul. Anyone wants an injection of energy from the Queen of Positive Thinking (that’s me) or who wants to learn how to make better choices and live life differently. Anyone who wants me to see straight through to the diamond in you, and help you to bring it out. Would you like to be one of the first few clients I work with in this way during 2014? If so, do contact me and let’s set up a date. I am going to be offering these face to face sessions in March, April and May. If you cannot visit me personally in London, then we can do this over Skype. The shape will be somewhat different – virtual lunch first and then a long-ish afternoon session broken up with a a rest period in the middle so you can process the internal wisdom which is bubbling up for you. How much does it cost? £250 payable immediately you book your visit. And then if you want to buy some more sessions and book and pay £1400 in advance for 10 additional Skype hours, I will rebate the £250 so – for ongoing personal coaching clients who buy ten hours – that initial exploratory session will be free. How does that sound? Fun, yes? And luxurious? Better than a holiday or some more retail therapy, that’s what I’m hoping, that you’ll choose you this time. If you’d like to book yourself in for a transformational life coaching session face to face or via Skype, contact me and let’s book in your lovely personal day out.